Skill With Will – it is an HR related training program used by many corporates word wide. The Domain name fits the bill if you are a trainer who can provide online training or a blog writer on matters related to Human Resources. It can also be used to provide any kind of skill development like cooking, sewing, including homemade recipes and other such business. The domain is registered with GoDaddy. Dine In Table … yep, that’s it. The name speaks for itself. Best suited for restaurants and sites providing cuisines, recipes and a variety of Dining activities. Premium name going VERY CHEAP! Hair Care Parlor – will make you feel better. Self-explanatory domain name … use it to sell hair care products and services online! Buy Slim n Pretty.com …..its actually a slim and pretty domain name!! Valuable keyword: slim is a high-value keyword that has an average sale price of $2372. Why should you buy this Domain Name? People like to shop when something is free. 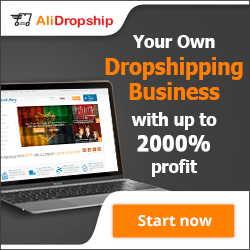 What about free shipping, free subscription, free loyalty points, etc? A great domain name to build a popular online store. Can be used to sell products from any niche. Easy to remember and recollect. DomaineBuy © Copyright 2018. All Rights Reserved.